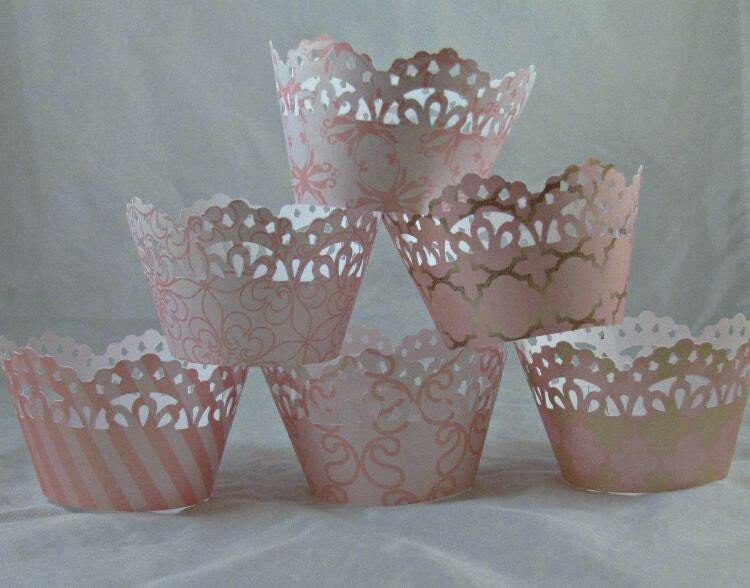 1 Dozen Blush pink and gold cupcake wrappers printed on shimmer cardstock to give a nice shimmer effect for your party. 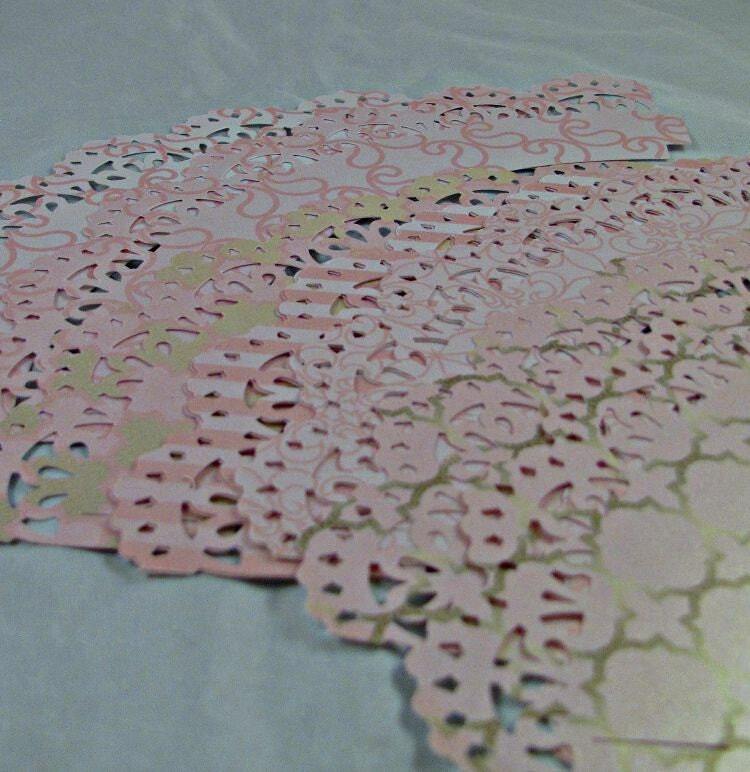 Beautiful wrappers perfect for baby showers, bridal shower or weddings, birthdays. 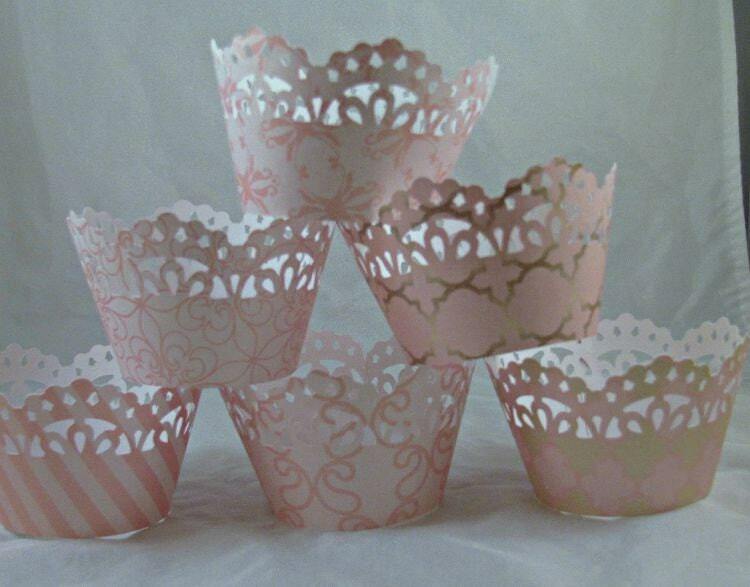 Easy to use-just insert tab and place cupcake inside. Product will ship flat and in well protected packaging. 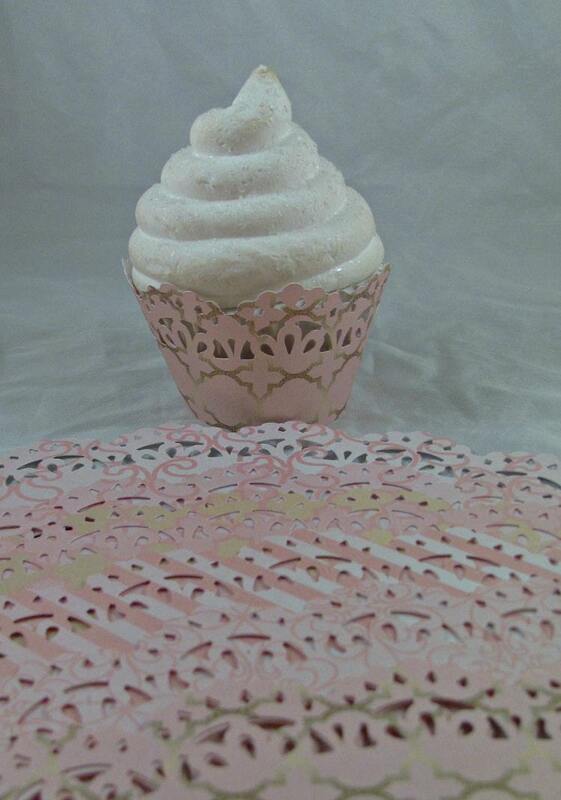 I am happy to coordinate item with cupcake toppers, door signs, banners. 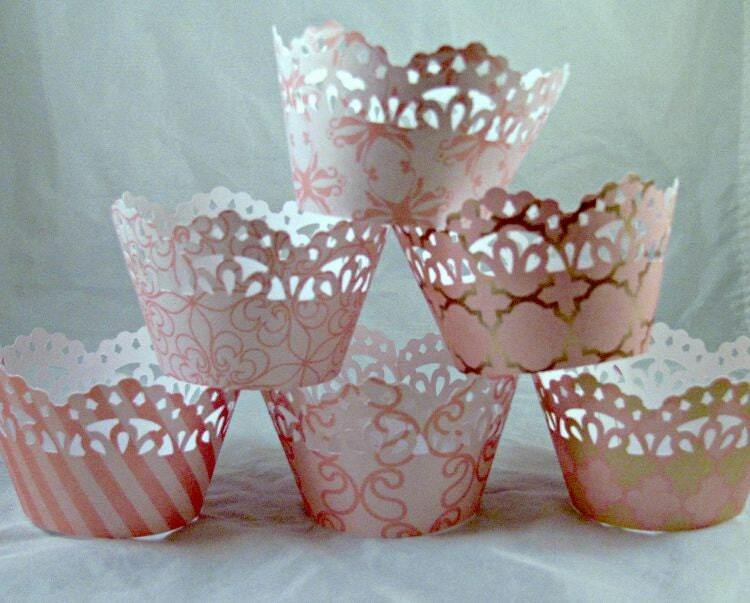 I bought these for my daughter's 16th birthday party...just beautiful!